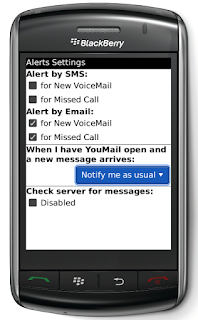 Ah, but there is a YouMail application for the Palm Pre (done by a third-party). Sweet! It's downloaded and authorized to my acct. It's nice to have the visual voicemail functionality.